Managing online product reviews for Manufacturers. 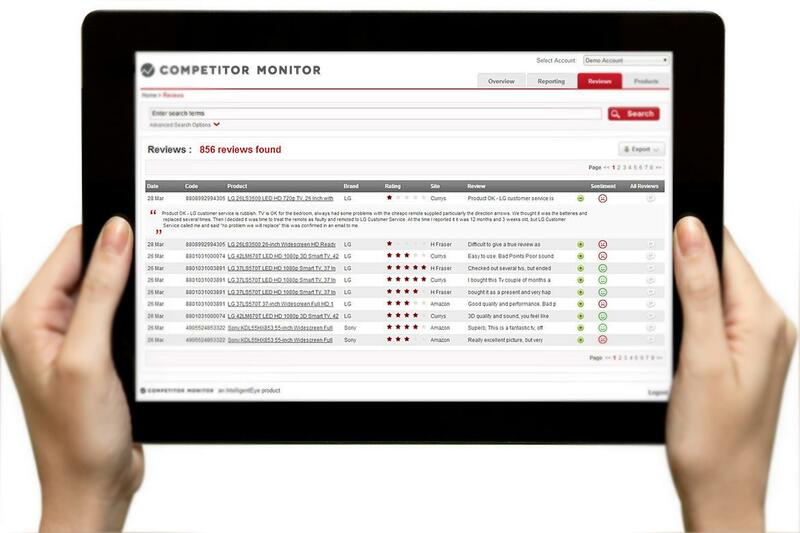 Competitor Monitor offers a service which meets the needs of manufacturers who want to understand customer perception of the products they distribute. We track online review ratings ratings across your product range and correlate results to retail pricing data. Giving you a real-time insight into the impact reviews have on distribution pricing and allowing you to fix product issues, change pricing strategy or manage perception with recovery communication. The service integrates with our pricing application and provides a portal to easily track and analyse any reviews found for your products.